The megalodon shark occupies a shadowy realm between fact and fiction. 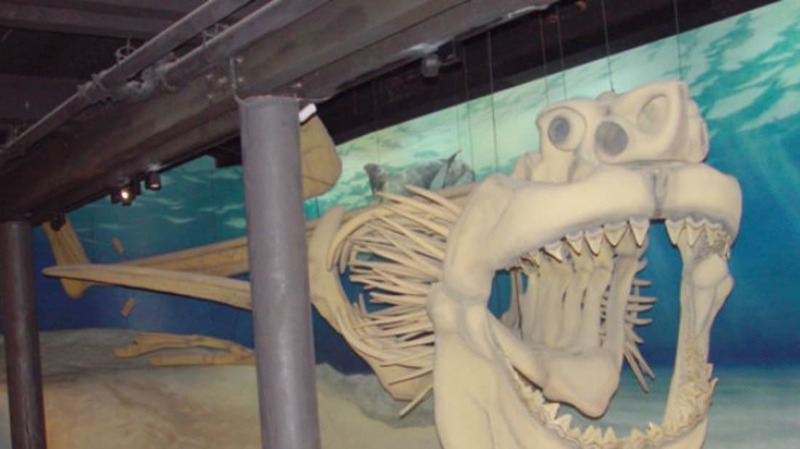 The massive prehistoric fish, thought to reach lengths up to 60 feet, really did exist millions of years ago; it even has an official Latin name: Carcharodon/Carcharocles megalodon (which translates appropriately to “big tooth”). However, despite the Discovery Channel specials that coyly suggest the megalodon may still roam the underwater depths, scientists agree that the gargantuan predator is extinct today. That makes Stjepan Sucec’s discovery of a 14-inch shark tooth in Croatia’s Kupa River all the more exciting, because it’s almost certainly a remnant straight from a megolodon’s mouth. Sucec, a resident of Pokupsko, a small village in central Croatia, was only out to gather shells when he made his big discovery. Although the waters of the Kupa are shallow enough to wade in some areas, the space was previously occupied by the Pannonian Sea—a body of water well suited to serve as the habitat of giant sharks. Compared to the teeth of great white sharks, thought to be the megalodon’s nearest living descendant, Sucec’s find seems comically oversize, dwarfing the two- to three-inch specimens. The purported megalodon tooth is also a glossy black, compared to a dull white—further evidence of its incredibly advanced age. According to geologist Drazen Japundzic at Zagreb’s Natural History Museum, it’s a safe bet that the tooth really is one of the only existing bits of fossilized evidence that corroborates the megalodon’s existence. Being made primarily of cartilage, not many parts of the megalodon have survived the many millions of years between their time and ours; fossilized teeth are nearly all scientists have to go on. For now, Sucec’s lucky discovery remains in safe storage: a terrifying reminder of the enormous predators that once swam in the oceans, and a comforting assurance that such creatures are long gone.